Instead, this is a just barely functional clarinet mouthpiece. Print with no larger than .25mm layers, and some support is required. Once printed, you will need to sand the facing and rails so they are absolutely even and smooth. 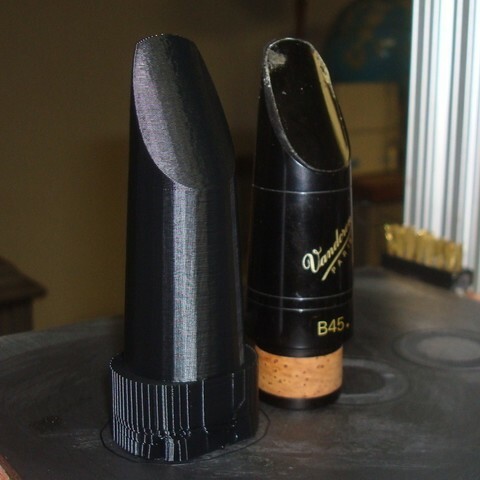 You will almost certainly need to adjust the reed tip spacing and perhaps the tip curvature to make it playable. No cork groove is included, but a piece of tape on the joint section works quite well.